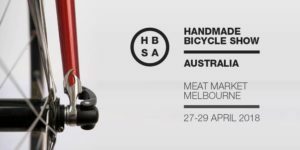 The new “Handmade Bicycle Show Australia” is not far away. 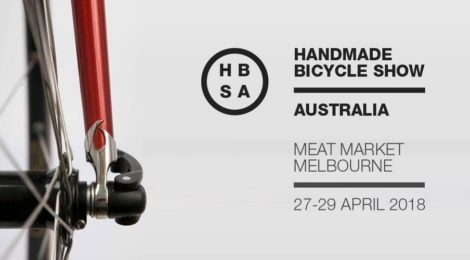 Meet and greet the actual builders of fine Australian hand made bicycles and cycling products under one roof. Enjoy fine wine and beer along with eats while looking over the bikes. It will be gallery style show so the crass flashing light boom box nausea will not be messing up the fun and enjoyment.